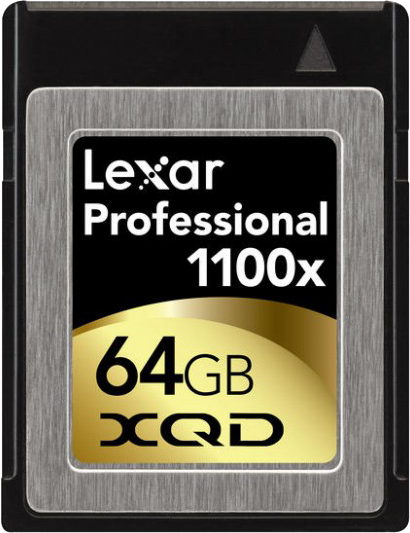 It was already announced a while back, but we finally have another choice for our XQD cards: Lexar has them available now too. The two new Lexar XQD memory cards come in 32GB and 64GB capacity. Good to hear is that they are extremely fast. With a minimum guaranteed read transfer speed of 1100x (168 MB/s), they match that of the fastest Sony XQD cards (their S-series which I haven't yet been able to spot “in the wild” though). Write speed is lower, of course, but still MUCH faster than any non-XQD card around. In fact, read performance is even faster than is theoretically possible with Compact Flash, let alone SD! 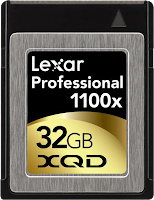 Together with the cards, Lexar also developed a USB 3.0 XQD card-reader, allow for super fast data transfers between card and computer. The cards have an MSRP of $299.99 (32GB) and $579.99 (64GB), the XQD USB 3.0 card reader will have an MSRP of $44.99. With these prices, they actually look cheaper than Sony's own offerings!